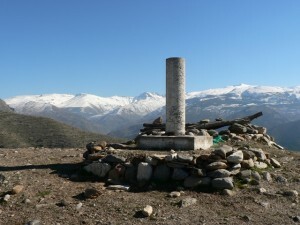 In winter the Sierra Nevada is capped with snow, which means the highest peaks are only accessible to well-equipped and experienced mountaineers. Nevertheless, it is a fantastic time to walk at lower altitudes. On crisp, clear winter days there are incredible views of the high mountains, especially from Granada, the Sierra de Huétor and the Lecrín Valley. 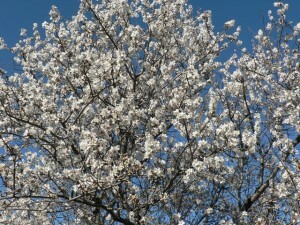 From around February you’ll start to see beautiful almond and cherry blossom. We have picked out a few of the best walks to do in winter. This is only a small selection of our hikes – for a full list of walks that you can do in winter, click here. This walk explores the Llano de la Perdiz, an area of parkland above the Alhambra in Granada popular with locals for walking, cycling and Sunday picnics. You very soon leave the city behind, replacing it with views across to the Sierra Nevada to the south-east and the Sierra de Huétor to the north. The return part of the circuit offers views down into the Sacramonte valley and the Albaicín quarter of Granada.